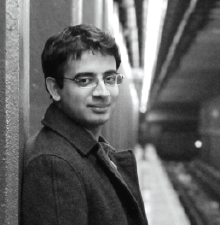 Pulkit Datta is a writer and filmmaker based in New York City. With a background in cinema studies and film/TV production from New York University’s Tisch School of the Arts and Miami University (Ohio), Pulkit has worked on a range of projects including narrative films, international Sundance-backed documentaries, web content, commercials, short films and multimedia campaigns. His first short film as writer/director, Jason (2011), was screened at numerous festivals and broadcast on PBS in the United States. He has also produced the documentary The Forgetting Game (distributed by IndiePix Films), the experimental short Acetate Diary (Official Selection, Tribeca Film Festival 2014), and executive produced Three Shades of Brown, a British-Asian comedy web series. Colony marks his debut as a feature film writer/director. Colony — Set against the backdrop of heated elections, five residents of a middle-class Delhi neighborhood confront their secrets and desires, at the risk of damaging their relationships with each other forever.